One of the first principles you learn in sound engineering school is the "inverse square law." Simply stated, it means that the farther away the mic is from the source the less sound you get. The "square" part is the real discouraging aspect of this law. It means that each time you double the distance, the sound level drops by a factor of four. In the real world this means that the chances of the choir being as loud as a singer with a mic against his lips are slim. One solution would be to give every singer in the choir a handheld mic but if you have 40 singers that would get mighty expensive. First of all, condenser mics have more output than dynamics, so we always use condenser mics on choirs. Next, the mic has to be positioned close enough to pickup the sound but far enough to maintain the blend. Hanging choir microphones also known as overhead choir mics and suspended choir microphones have been around for years and have become smaller so they are very inobtrusive. They come from Shure, Audix,EV, Sennheiser, Audio Technica and CAD (Astatic). In my opinion, the best hanging choir microphone is the CM100W from CAD. It's small (white or black) has high output and a cable long enough to hang from a high ceiling. It doesn't require clumsy hardware to hang at the proper angle. 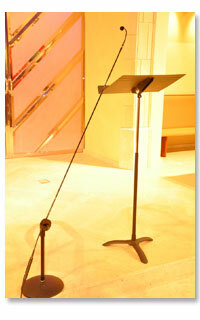 A newer approach to choir pickup is the mini-boom or fishpole microphone. This is a tiny condenser mic mounted on a slender carbon-fiber pole. 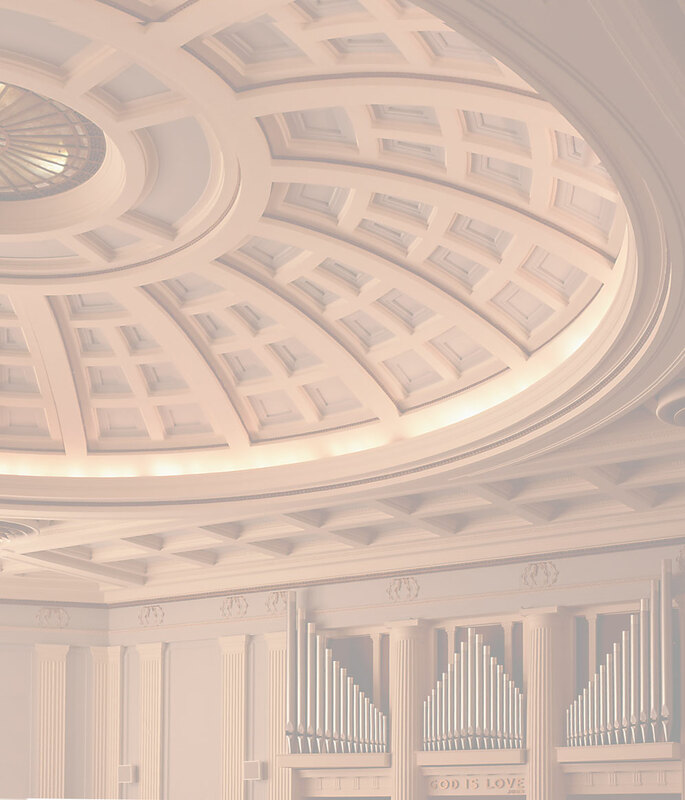 These choir boom microphones have the advantage of getting into a better position than a hanging choir mic and they are easier to move when necessary. Pictured is the Astatic mini boom choir microphone with variable pattern adjustment. 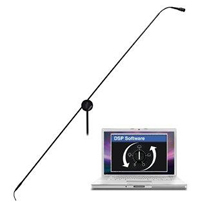 Audix builds a similar choir fishpole microphone that they call "microboom" and I have also seen one called a "stick microphone" and there is a choir mini boom microphone from Earthworks.